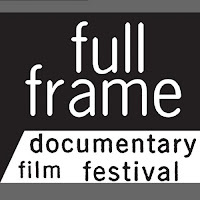 Your Connection Realty: Full Frame Festival and Fun this weekend! April is a special time in Durham! 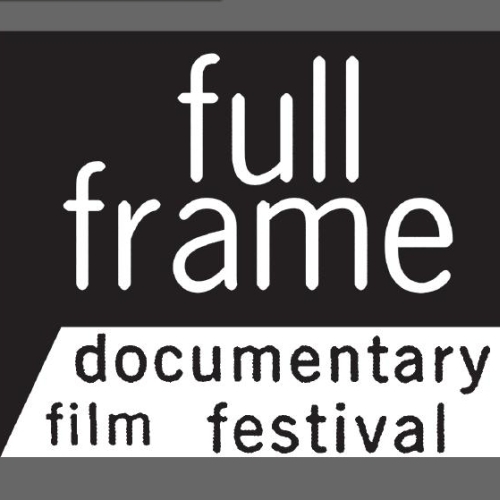 The excitement of the Full Frame Documentary Film Festival is in the air and the international event brings a lot of attention to the Bull City. Make time to see any of the films and be a part of the buzz at Carolina Theater. The Tony Award-winning musical, based on the novel by E. L. Doctorow, follows three groups in collision at the dawn of 20th century America. The lives of a family of upper-class WASPs in suburban New York, an African-American couple in Harlem, and a small immigrant family in the Lower East Side all intersect as they all search for success in America. Presented by Duke's Hoof 'n' Horn. Tickets $10, $5 students and senior citizens. ReynoldsTheater in Duke's Bryan Center, Science Dr. The local author will be reading from and/or signing his mystery novels "Deepest France" & "Mysterious Days." Barnes & Noble, 5400 New Hope Commons Dr. Featuring Christian recording artist Chris Adams. Admission $10 (includes food & beverage). Blue Coffee Company, 202 Corcoran St.
Maplewood Park, 1507 Whitcomb St. Followed by Mebanesville (acoustic/americana/progressive). FREE admission. Dress to impress. Proceeds benefit Durham Solidarity Center. Admission $5-$20 sliding scale, with $2 membership. Admission $7 (with $3 membership). PSI Games- Back by Popular Demand! Ever wonder about your ESP ability? Or wanted to attend a spoon bending party? Here is your chance to test your abilities in a fun, informal group setting wiht like minded people. Spoons provided! Space is limited, so pre-registration required. Cost $20, $15 RRC members, $10 students. Meet fellow filmmakers and supporters while enjoying a drink and light snacks between festival screenings. The Mascot Gallery, 308 W. Main St. The Asiatic Arboretum holds many fascinating plants, displayed in beautiful and ever-changing combinations. Join expert staff members as they guide you to some little known garden spaces and unique plants. Cost $5. The Asiatic Arboretum holds many fascinating plants, displayed in beautiful and ever-changing combinations. Join Paul D. Jones, curator of the Culberson Asiatic Arboretum, and horticulturist Michelle Rawlins, who will guide you to several little-known garden spaces and unique plants. Registration required. Cost $5. Theme is The American Graduate. Tickets $15. Enjoy a period of respite in the Duke Gardens teahouse with Nancy Hamilton, a practitioner of Urasenke Tradition of Tea. As a guest to Tea, you will experience the warmth of a traditional Japanese tea gathering in an intimate setting. Enjoy the aesthetics, poetry and serenity of this rich tradition over an enticing bowl of whisked green tea and a Japanese confection. Cost $40; $30 Gardens members. Two Seatings: 10:45am-noon and 1-2:15 p.m.
Hope Valley Bottle Shop, 4711 Hope Valley Rd. "This double feature choreopoem which highlights Ntozake Shange's For Colored Girls...and Antar Mason's Black Boys...forges an intriguing path to the discovery of self Identity and worth." Tickets $10, $5 students, seniors and children 7-17. 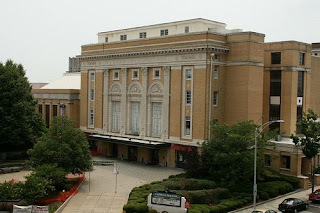 North Carolina Central University Theatre, 1801 Fayetteville St. Featuring 1000s of books, most priced at $1, audiobooks, CDs and DVDs + specially priced books in gift-giving condition. Debit and credit cards now accepted. F 4-7 (members), Sa 10am-4pm, Su 2--5pm. Friday: Metacarpus, Bitter and Sweet, A Love Supreme, Seltzer Works, Breadmakers, and Leche; Saturday: Picture Day, Crow Film, The Intimacy of Strangers, and Lost Book Found; Sunday: A Thousand Words, Caretaker for the Lord, For a Miracle (Po Cud), and Salt. Lawn seating. FREE admission. With traditional instruments from India and Spain as well as a dancer, Shankar’s ensemble condenses Gypsy music’s thousand-year migration from India to Europe into one exceptional evening, where Andalusian flamencos and Carnatic ragas merge seamlessly. Tickets $22-$42, $5 for Duke students with ID. Featuring a variety of outdoor games for youth of all ages with prizes, appearances by basketball celebrities from Duke & UNC, free food & drinks, gift bags, music, and more. FREE. Carver Pond Apartments, 4001 Meriwether Dr. This series of studios is for people with floral design experience or who have taken the introductory course, "Designing with Flowers." Students will bring their own flowers and container and work with floral designer Theo Roddy to create a beautiful floral display. Students may sign up for one or all four sessions. Includes DJ, corsages, photographers, and door prizes. For girls in grades K-8th. Pre-registration required. Cost is $10/couple plus $2 each additional daughter. Christ The King Church, 4405 Hope Valley Rd. Bring blankets,and a picnic, if desired. FREE admission. Trinity Park, 410 Watts St. Admission $8 (with $3 membership). Timed 5k Run/Walk: $35; recreational (Not timed): $30; 100 yard dash (8 and under) : FREE. Post-race celebration will continue with a festival for people of all ages and will include a Kids Zone, interactive playgrounds, food, music, entertainment/performances, and many more fun and exciting activities for families and kids of all ages. American Tobacco, 318 Blackwell St.
Are you ready to rumble? It’s the battle of the bots. Join the league of robot enthusiasts who build and battle their bots for fun and excitement. See some exciting demos and learn more about current and future innovations in the robotics field. FREE with Museum admission. Featured national touring spoken word artists CP Maze and Stefen Micko, Soul/R&B vocalist So Free Wisdom, and live music by: The Holloway Group. Admission $10. See some great classic cars, lovingly restored. FREE. Chick-Fil-A Parking Lot, 3429 Hillsborough Rd. Featuring a new home, one that's four years old and two renovated mid-century moderns, all in Hope Valley. Tickets are issued on a timed-entry basis. Cost $20, $14.95 in advance. No charge for kids who are carried or in strollers. See some nature and learn a little Durham history. Local history buff John Schelp will narrate along the way. Three-mile loop starts at historic Oval Park. Well-behaved dogs on leashes are welcome. FREE. Ninth St. and Green St.
A FREE Third-Tuesday Monthly Stand-up Show. FREE admission. All competing chef-testants will receive a $50 Harris Teeter Gift Card to help with the costs. A portion of the proceeds will go towards charities that promote sustainability and local culinary education for disadvantaged children and teens. The grand prize winner will be flown to Brooklyn, NY to compete for the National cook-off title. Tickets to attend $10 (with $3 Motorco membership) Includes 1 beer, 20 competitor samples, and the ability to vote for the winner. Enjoy a complete program of special events, 18 holes of golf (including riding cart), and dinner. Contest prizes, raffle prizes and more will also be available at the tournament. TGI Friday's burgers, grilled to perfection, will be prepared at the awards banquet and served by Friday's staff directly after golf. Format for this event is Captains Choice. Golf attire is required. Collared shirts and no steel spikes are allowed on the course.Cost $65. 12pm registration, 1pm tee off. Directed by Timothy Hambourger, [dnme] brings together undergraduate and graduate students in performing music written in the 20th and 21st centuries, as well as new works by Duke student composers. In addition, the group also collaborates regularly with faculty and guest artists from the Duke University Department of Music and other institutions across North Carolina. FREE admission. Discussion on the Science of Science Fiction, featuring a half-dozen local and regional authors, artists, and creators for short readings, talks, and an SF role-playing game demo. Panel includes David Drake (author of the forthcoming sf novel The Road of Danger), Natania Barron (author of Pilgrim of the Sky), Stephanie Ricker (fiction contributor to local SF magazine Bull Spec which celebrates the launch of issue #7), J.L. Hilton, Jeremy Whitley, and Steve Segedy. FREE admission. M-W 11am-5pm; Th-F 11am-9pm; Sa 11am-5pm; Su 12-5pm.